You have gone shopping in a supermarket, a market, a grocery store or a convenient store for sure. But have you ever purchased or bought goods on a boat or a vessel in your life? If it is not for going fishing or traveling on a luxurious cruise, we guess you might hardly have an experience to shop not on land but on river!!! 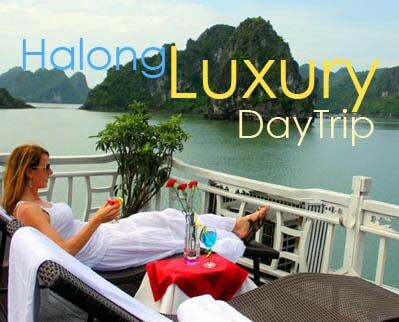 If so, let’s follow us to the amazing Mekong Delta in the South West of Vietnam which is famous for its floating markets that creates a unique feature for this place. 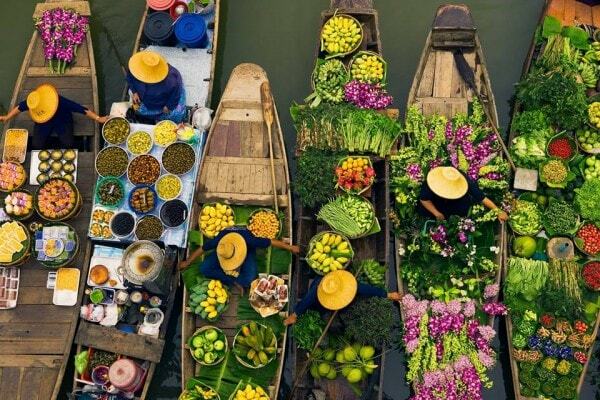 Among them, Cai Be Floating Market is a must-go destination you should list in your notebook when coming to Vietnam. You will find exciting on the way to the Mekong Delta as lives of people nearby the river are so interesting and active like the sun never sets. 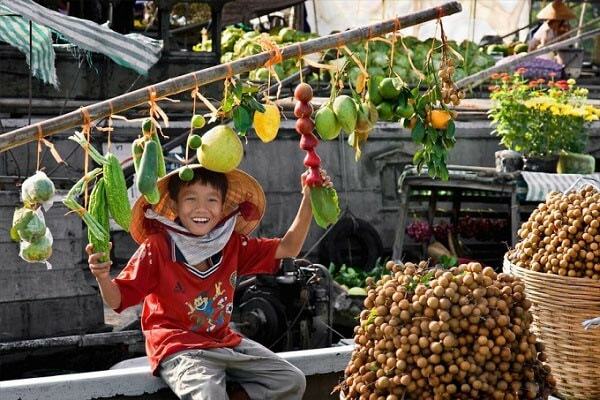 One noticeable thing you can recognize is that people doing business on the floating market carry a wide variety of fruits, vegetables or goods on their boat and sail through the river. On the floating markets, besides, you also find floating restaurants, floating bars, floating gas stations, and many other floating shops. Canals, therefore, are here the easiest and fastest way of transportation. Cai Be, one of the many well-known floating markets in the western region of southern Vietnam, was formed in the Nguyen Dynasty in the 19th century. The Cai Be Floating Market is always busy, bearing all the characteristics of the locals’ life in the western region. All the goods are transported to the market by rafts and boats. 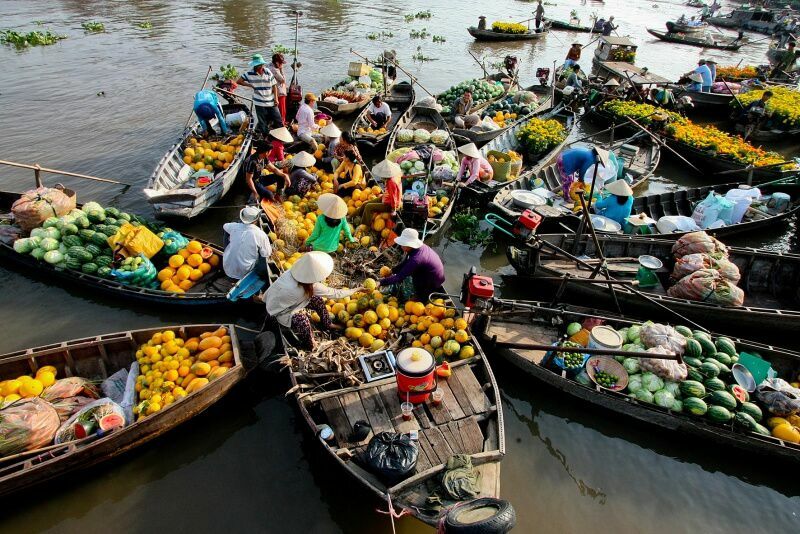 The floating market lies in the Tien River, adjacent to three provinces of Tien Giang, Vinh Long and Ben Tre. The market is divided into two parts: buying and selling places. Rafts and boats are anchored along the two sides of the river for kilometers. Approximately 400 to 500 boats filled with fruits, vegetables, and other products are anchored along the banks of the river. The merchandise sold in each boat is hung on a pole in front of the boat to attract customers. 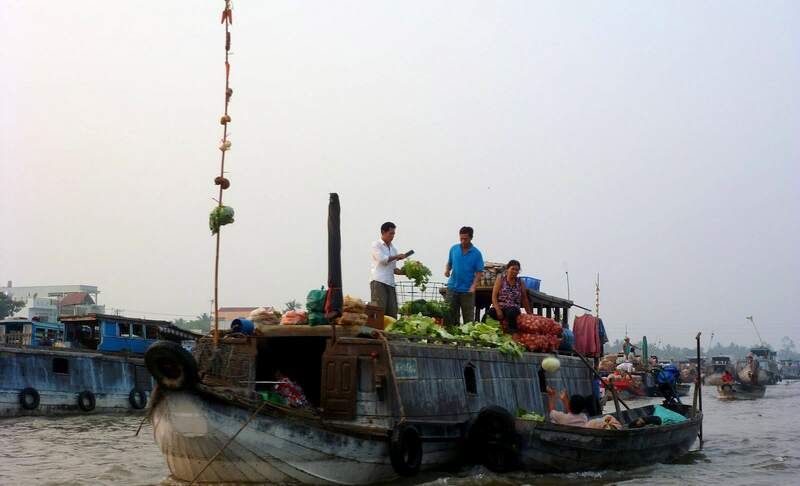 From the floating market, goods are shifted for selling at inland markets or small boats take them for delivery along canals in the Plain of Reeds. From three 3.00 am in the early morning, rafts and boats are crowded because Cai Be is one of the biggest wholesale markets in the region. We would recommend you start your day earlier than other destination at 4AM and to take a boat to Cai Be Floating market at such time. Then you can enjoy a wonderful sunrise on the river, deepen into the fresh and cool air as well as experience the trading life of those people. Can you buy goods there? Of course why not! What more, it would not be any better than to taste such newly picked and fresh fruits gathered in their own garden or to drink juice which you have not known or tried before such as coconut or water coconut. Traders live on the river and some link their lives with boats like their mobile house for generations. Cai Be seems to be an inseparable part of their daily lives. On each boat, goods are hung on poles that are called dialectically “cay beo”. Hundreds of such poles point the sky wards. Boats also operate like “taxis,” very convenient for tourists around the region. Along the crossing canals, people in the Plain of Reeds take not only goods of each countryside to the Cai Be Floating Market but also their unique cultural characteristics, creating such a beautiful river painting. 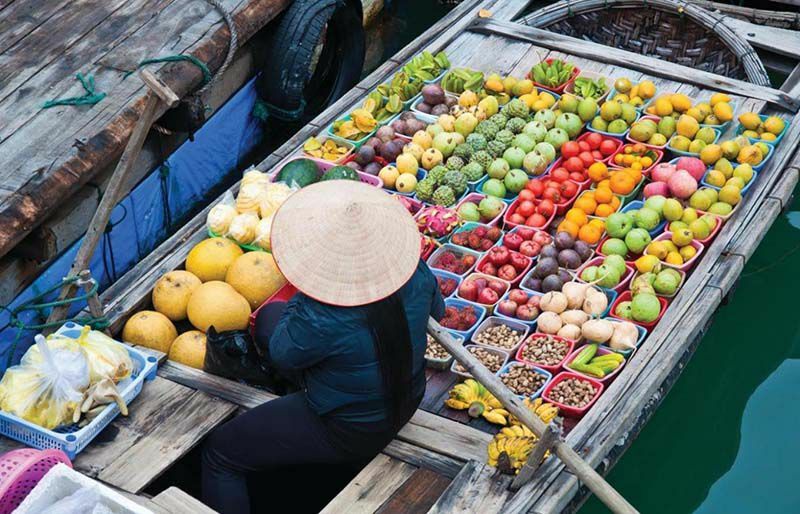 What makes this region identified and outstanding from the rest is the variety of specialty fruits and a system of floating markets along the Mekong Delta. Together with friendly local people, Cai Be Floating Market in particular and the Southwest region in general have left a memorable and amazing experience in each of the tourist once coming to this beautiful and colorful place.